Julian was a youth team player with Tottenham Hotspur and Northampton Town, before moving on to Raunds Town (1992/1993) and Bedford Town. 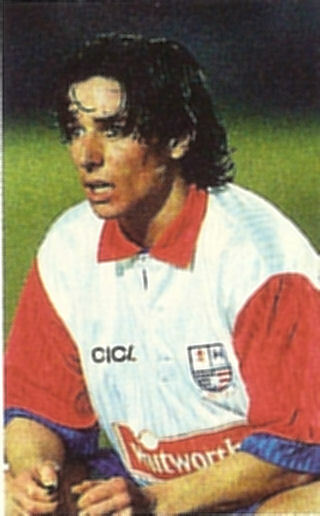 He joined Diamonds from the Eagles during the summer of 1994 but his first two seasons saw him struggling to gain regular first team football. He did manage to get a longer spell in the first team in the latter part of the Diamonds first Conference season, and then became a regular in the team the following a season. A number of injuries and loan spells followed before he was released in May 1999. 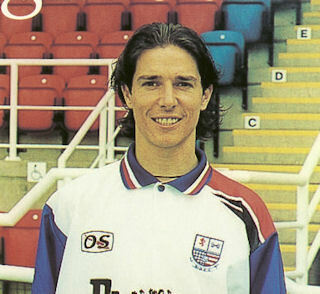 After leaving Diamonds, Julian was to transfer to Nuneaton Borough, but the deal fell through and he went on to play for Enfield and Boreham Wood, before joining Chesham United. In September 2002, he decided to try to get a contract in the USA, but returned after a few weeks, rejoining Chesham United. 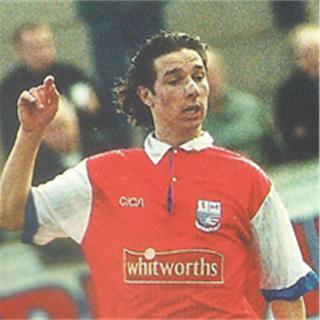 In July 2003, he joined Bedford Town again, remaining with the Eagles until May 2004, when he left to become manager of Minerva Spartan South Midlands side Bedford United & Valerio. His side were relegated at the end of the 2004/2005 season, and he rejoined Bedford Town for a third spell, but left to in September 2005 to rejoin Bedford United & Valerio briefly before going to Arlesey Town in December. He only played six games for the Blues before retiring.